We are sitting along the Gulf of Mexico relaxing with a view of white satin sand and emerald-jeweled waters. The swollen sun is disappearing beyond the horizon—leaving streaks of color that even an artist’s brush cannot capture. A patch of sea oats is waving the day goodbye, and the sandpipers disappear. Here, audibles of water pounding sand masterfully create the most romantic sound on earth—beach music. 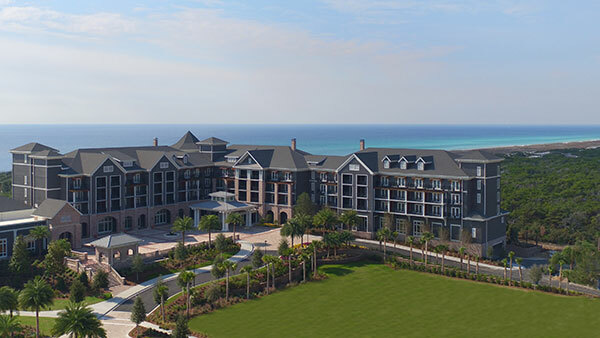 This slice of Destin, Florida’s beach is private and complimented by a resort so grand that it has been years in the making. A haven of peace, romance and contentment mixed with upscale amenities, delectable dining, activities and adventure —The Henderson, A Salamander Beach and Spa Resort. 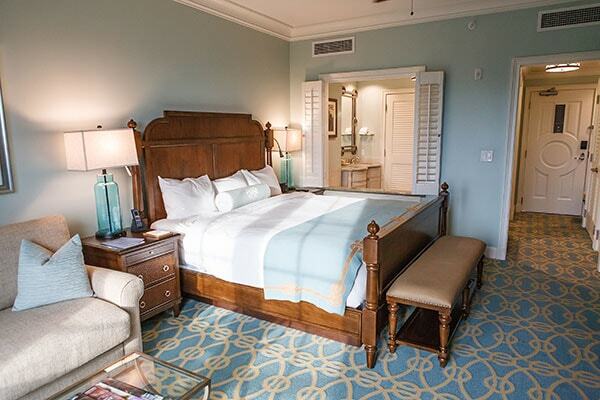 Touted as one of the most luxurious resorts built along Northwest Florida’s Gulf Coast in a generation, The Henderson could easily offer couples this guarantee: “Once you enter these doors, the stress and entanglements of pre-wedding planning are forgotten.” The Henderson is reminiscent of a grand seaside manor of yesteryear. It captures the romance of traditional coastal architecture with striking shingles, steep gabled rooflines and a design nod to Destin, Florida’s nautical history. As we approached the resort’s Piazza, complete with a fountain, we recognized every inch of the property was designed for beauty. Once our friendly bellman, Armando, knew our name the rest of the amazing staff did also…making us feel welcomed and valued. 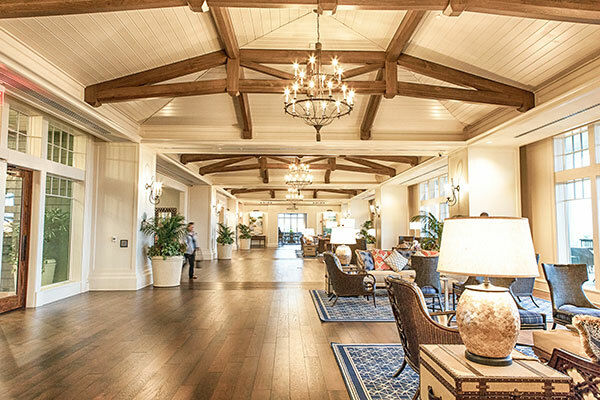 In this 170-room hotel, you will not find a lobby but an expansive living room with hardwood floors and intimate groupings of decorative furnishings. The soaring ceilings are adorned with reclaimed beams and trusses. Beyond the glass wall of windows, the flow of stylish furnishings extends to the outdoor terrace where the scenery includes a maritime forest and beach. If you are familiar with other Salamander Resorts, you can expect to be pampered--The Henderson is no exception. Make reservations for a Gulf view and everything else will fall into place. The guest rooms and suites include stylish furnishings, bedding you will want to take home with you, soaking bathtub with louvered shutters, and a tiled shower. The balcony is a place of inspiration for planning the future while watching the ever-repetitive surf. Instead of high rise structures to block your view, the adjacent Henderson nature preserve is the perfect neighbor…quiet. Here sand pines, scrub oaks, and dune rosemary are pure Florida, and a nature trail is begging for exploration. Ask about bikes at The Henderson—the ideal transportation for enjoying a glimpse of the coastal dune ecosystem at Henderson State Park and beyond. 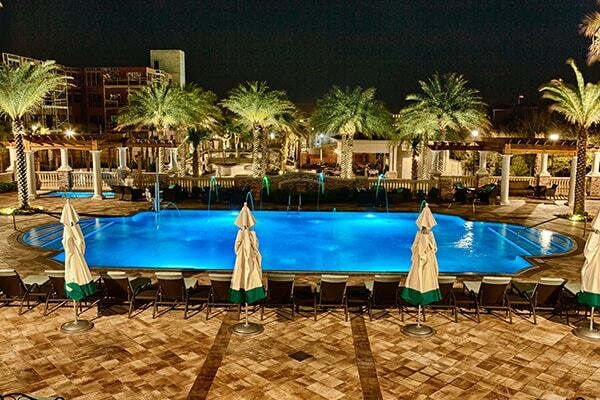 There is a heated adult pool with cabanas and a separate pool for families. Come back to the adult pool after dark where changing lights turn the water into a kaleidoscope of soothing colors. The private beach area is also separated. Ask about the water sports, fitness classes and nature tours. The concierge can help you plan the perfect honeymoon activities. The Salamander Spa is the place to relax and rejuvenate. The ladies’ lounge is decorated with warm colors that reminded me of the Gulf. The entire spa and resort could easily qualify as an art museum. Two of our favorite award-winning artists, Russ Gilbert and Mary Hong, along with other notable artists, enhance the Spa for tranquility and beauty. The Henderson Art Collection consists of 465 pieces of original artwork by 13 local artists and artisans on display throughout the hotel. The 60 minute couples romance-inspired spa massage was first on our list. Cara, our massage therapist, knew exactly how to make us relax by combining soothing aromatherapy products enhanced with our choice of scents. There is more! 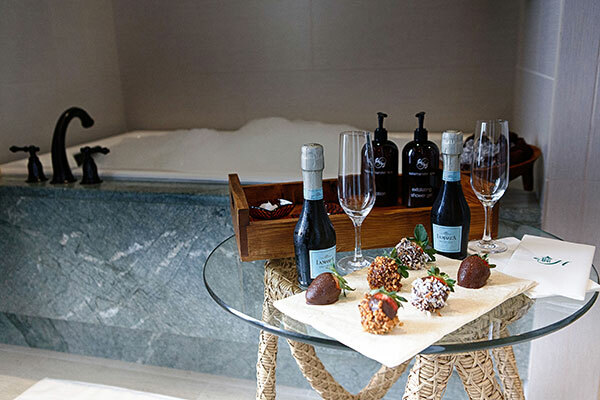 We were directed to the Couples Tranquility Suite for the “Play Date.” The intimate venture comes complete with a huge bathtub filled with bubbles galore, a tray with chocolate-covered strawberries, wine, caviar, and assortment of spa collection skin enhancements with two brushes. The rest of the story—make it your own! I came back later for a caviar facial treatment enhanced by Kerstian Florian products to revive my skin from an overindulgence of makeup. Okay, I confess to being in a semi-trance…alright, I went to sleep! I tried apologizing, but Madison, my therapist, noted it was a compliment. The resort’s “Romantic Getaway” package includes $100 resort credit per night, turndown amenity of champagne and strawberries and valet parking per day. Some great options for your resort credit are the Couples Spa Treatment and add the “Play Date,” beach set for two to enjoy America’s top-rated beaches, bike rentals for sunset rides and a romantic dinner for two at Primrose. 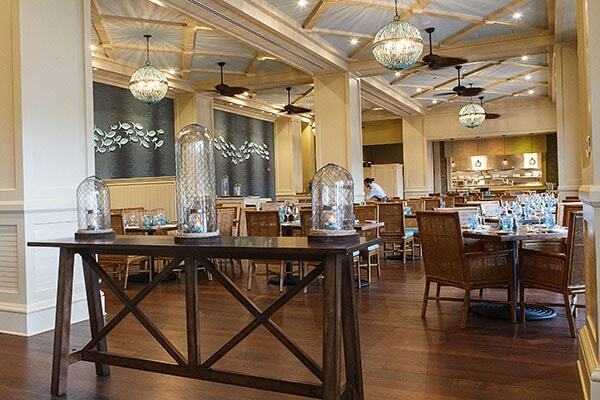 The resort’s signature Primrose restaurant was named for Destin’s first commercial fishing boat. Enjoy fresh catches brought in daily from fishermen, and I can also attest to the tenderness of the certified angus ribeye steak served by the well-trained staff. Top your meal off with the famed Key Lime Pie. For breakfast, the Primrose’s” Simply Southern” breakfast was our favorite. Check out the expansive fresh Sushi Bar located in Primrose from 5:30 – 10 p.m.
Horizons, a lobby level lounge boasts an extensive collection of beverages. Light fare is also served here, and we found the portions were ample for sharing. The smoked turkey & fig sandwiches, blue crab cakes & sweet corn hush puppies for lunch were great. Be sure to ask for the table with the best Gulf view. The atmosphere is quaint where guests gather around the fireplace area in comfortable chairs watching the big game on TV. 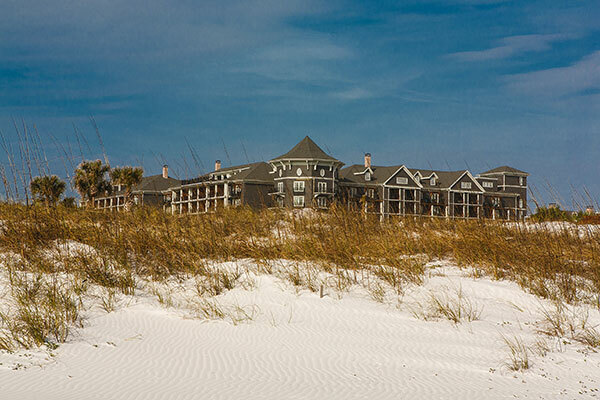 Dunavant Enterprises, Inc. owns the The Henderson and its sister property, Henderson Park Inn, which, along with The Henderson Lofts, comprise Henderson Beach Resort. Salamander Hotels & Resorts manage the company. The Salamander’s proven success transfers guests to a place of elegance and unforgettable experiences. Their attention to detail is spot on. For instance, if you are traveling a short distance, The Henderson fleet of vehicles will drop you off and pick you up. For waterfront dining, try the Beach Walk restaurant at Henderson Park Inn—a widely recognized property for romance. The feisty breeze and lapping surf are only a few yards away. We started with the smoked tomato soup, enjoyed delectable Grouper Vince, and finished with the bread pudding. Kick it up a notch and arrange intimate dining on the beach. If you have dreamed of a beach wedding, The Henderson is perfect for a wedding/honeymoon combination. Whether you prefer a casual sand-in-toes wedding directly on the beach or a formal affair, the culinary team and professional wedding staff will provide personalized attention for your special day. 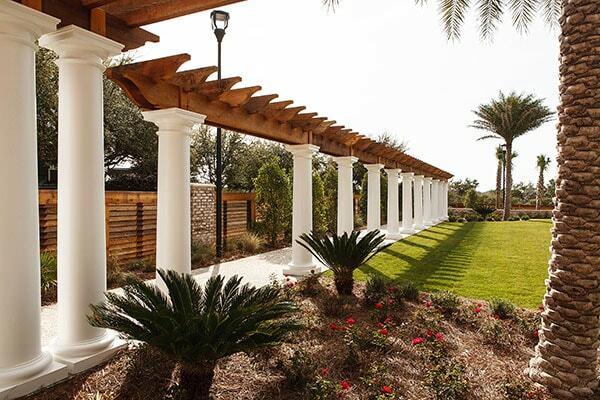 The Grand Lawn, with its pergola, white columns and elevated lawn space for the ceremony is another option. For indoor weddings or receptions, The Henderson Grand ballroom is stunning. On your last night at The Henderson, celebrate the sun’s last hurrah on the rooftop terrace—the equivalent to a luxury open-air skybox. Then, enjoy an evening under the stars around the fire pit below. Couples all agree with the poet Victor Hugo’s quote from more than a century ago. “The Supreme Happiness of Life is found in the conviction that we are Loved…” The Henderson, a place where love is celebrated, and photographic memories remind us to return. Destin, Florida: There comes a time on every honeymoon where you want to explore! Destin, Florida, is known as the “the World’s Luckiest Fishing Village.” Ready for a real adventure? Rent a private charter boat and brave it on the high seas. If not, make sure you stop by Harbor Docks Restaurant and watch the fleets arrive in the evenings with their fresh bounty from the Gulf. Serving great seafood since 1979 (where the locals eat,) try the Gulf Grouper Parmadine. Breakfast is delicious, and outside dining is a must. For the couple who enjoys golfing, try the public course, Regatta Bay Golf and Yacht Club. Board the Southern Star for a dolphin sightseeing cruise, and if shopping is your passion, Destin Commons or Silver Sands Premium Outlet Center is where you can buy an item for your new home.